we are devoted to teaching the art of making 100% Natural Soaps using traditional techniques. 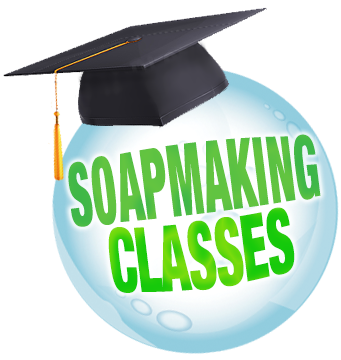 We offer Soapmaking Clinics and Private Classes for the DIY enthusiast. Each participant will learn safety, basic oils, methods and additives. Everyone will make 3 batches of soap and leave with approx. 15-20 bars. techniques and much more! Learn how to take your soap coloring and design to the next level. Private classes are also available, specifically designed for your needs, either as a beginner or a more advanced soaper. Each class last 2-3 hours and costs $50. Please email if you have questions or would like to schedule a class. These are hands-on classes where you’ll actually get to custom create, scent, and color a batch of soap. All supplies, including fragrance oils, essential oils, colors, molds, oils, botanicals and clays will be available in class so you can design your own soap! No experience necessary! You will MAKE, and TAKE HOME at least 25-30 bars of soap along with lots of tips and tricks to help you make your own soaps at home. Check out the Shows & Events page for info about upcoming classes.